Sometimes you can be your smile’s own worst enemy. 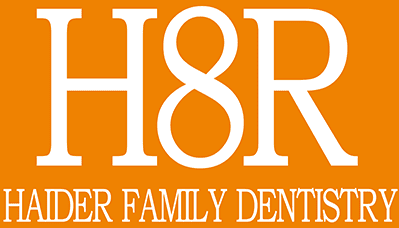 At Haider Family Dentistry, located in Salem, Oregon, Jeremy Haider, DMD, can help protect your teeth from your lifestyle and habits with custom mouthguards. Call his office or book an appointment online to acquire a mouthguard to protect your mouth from teeth grinding and other damage. What are the advantages of custom mouthguards? While you can purchase over-the-counter mouthguards to protect your teeth from grinding or sports injuries, these generic guards are often ineffective. They can slip easily and be downright uncomfortable. Custom mouthguards precisely fit your mouth. Impressions are taken on-site and sent to a lab for fabrication. You’ll experience greater comfort while protecting your smile. Why would I need a mouthguard for teeth grinding? Teeth grinding, or bruxism, often occurs at night, but some people may even grind or clench their teeth during the day as a response to stress. As a result of grinding, you may experience headaches, temporomandibular joint dysfunction, and gum recession. The grinding can gradually wear down the natural structure of your teeth, making them more sensitive. Severe grinding can even cause broken or cracked teeth and damage the structure of your jaw. A mouthguard can protect your teeth from grinding so you can preserve your smile and reduce any pain associated with the habit. Proper care can extend the life of your mouthguard and discourage the spread of bacteria. Before and after every use, rinse your mouthguard with clean water or a mouth rinse. You can also clean your mouthguard with a soft bristle toothbrush and mild soap. Always store your mouthguard in its container. The container should have firm sides and perforations to permit air flow. This will help prevent the development of bacteria. Mouthguards are vulnerable to deterioration when exposed to high temperatures. Keep them away from hot water or direct sunlight. When you come to Haider Family Dentistry for a checkup, bring your mouthguard so Dr. Haider can inspect it and make sure it still provides a good fit. If you grind your teeth or play a contact sport, book an appointment online or over the phone with Haider Family Dentistry to learn how you can benefit from a mouthguard.